Partners in Serving Senior Women in Need, Terrific, Inc. 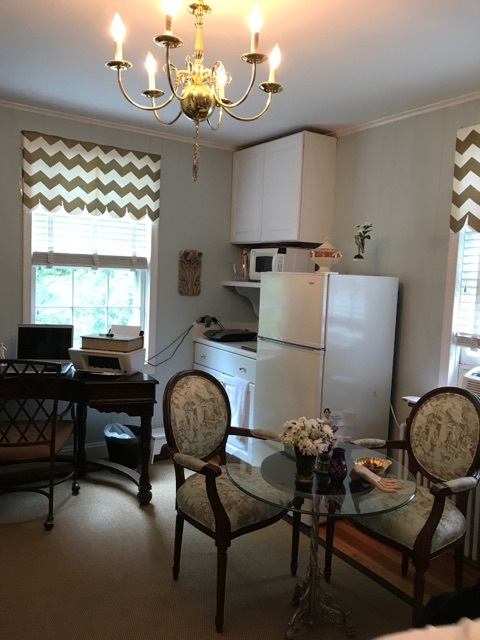 The Aged Woman’s Home of Georgetown is currently working to fill several room vacancies after several guests transitioned from the Home’s independent living to a higher level care facility. When a vacancy at the Home occurs, referrals for admission come from a variety of sources. These referral sources include local shelters, churches, government organizations, community social service agencies, gerontology professionals, hospitals, and individuals in the community assisting senior women to find housing. All of these agencies collaborate with the Home in an effort to secure permanent and stable housing for these senior women in need. One very successful inter-agency collaboration with the Home has been with Terrific, Inc., a forty-year-old non-profit housing and human service organization in the District of Columbia. Terrific Inc. cites their primary goal as responding to families in crises including senior women. These crises include health, psycho-social-economic ills, housing, or discriminatory problems that might prohibit the senior’s access to needed services or impede their rights to quality care and human dignity. Terrific, Inc. identifies and develops resources to meet the needs of these groups and fosters a continued response to future crises. In keeping with this mission, Terrific Inc. has referred and successfully placed several senior women at The Aged Woman’s Home of Georgetown. Once the referral from Terrific Inc. is made, potential candidates meet with the Home’s Administrator to complete a tour of the Home and complete a screening interview. The candidate for admission, with continuing support from Terrific Inc. if needed, completes the Home’s application process, including written application and interview. Another community agency providing assistance to seniors in the community, Seabury Cares, is then contracted to complete the psychosocial evaluation and give an independent assessment of the candidate’s ability to live independently. A recent applicant traveled through the City’s agencies to The Aged Woman’s Home first by reaching out to her church and employer who referred her to IONA Senior Services, who then referred her to Terrific Inc., who then referred her to The Aged Woman’s Home of Georgetown. This new guest, moved into to her new Home at The Aged Woman’s Home of Georgetown in November.